The hospitality industry is under pressure to provide increased customer satisfaction with more comfortable and heavier mattresses. Unfortunately, it's costing much more than the price of a new mattress. Recent studies have shown that housekeepers have a significantly higher rate and level of injury, more lost days of work, and larger worker compensation claims than any other areas. 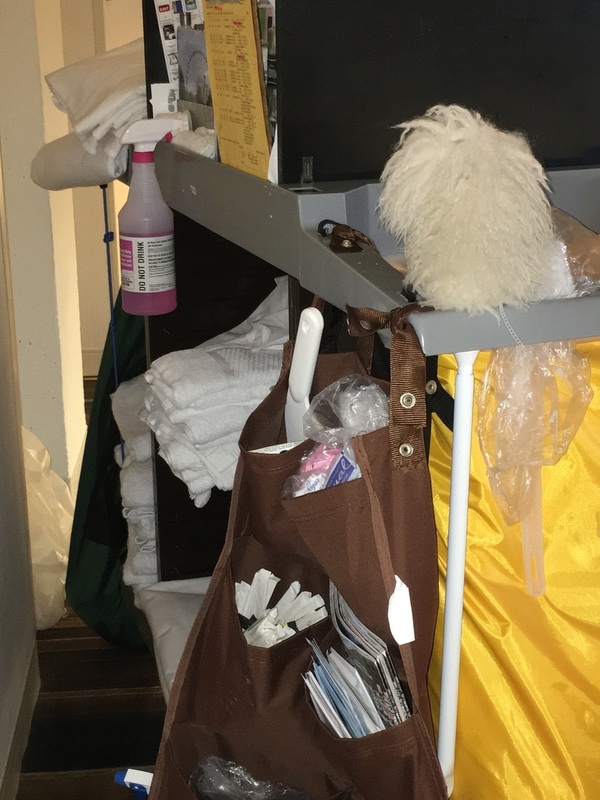 Although repetitive motions can also contribute to housekeeper injuries, making 20+ beds per shift, lifting mattresses often in excess of 100lbs sometimes more than 150 - 200 times a day is an obvious area of concern. Use The Tucker for a Win:Win:Win situation! Nice, neatly made beds, less back strain for your staff and reduced risk for your hotel! Currently, in order to make a bed with "hospital corners" the mattress needs to be lifted multiple times per bed and often uses two people. The Tucker can achieve the same result with NO LIFTING and by just ONE PERSON! Easy to learn, most people get it right the first time they try it! In 5 easy steps! With a flat sheet draped over the mattress, just insert The Tucker in-between the mattress and box spring or platform and push in. It's that easy, even a child can do. Just check out our video on our home page and see first time users demo The Tucker. Don't Lift It ... Just Tuck It! With The Tucker, there's no longer a need to lift a mattress EVEN ONCE! This will immediately start impacting your staff by eliminating heavy lifting. Preventing staff back injuries will surely create a better work environment. ​The Tucker fits easily in housekeeping carts, or in uniform pockets. "Three out of 4 workers experienced work-related pain during the last year, and the vast majority (94%) said the pain began during their current job. This work-related pain was considered severe enough for most workers to seek medical attention or take days off." 1. 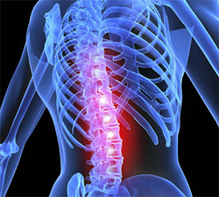 "Direct costs associated with occupational back injuries average $37,000. Indirect costs associated with back injuries can range from $147,000 to $300,000." - Joseph Paduda, Managed Care and the Law of Unintended Consequences. "Overall, the Low Back Disorder Risk for the job is high (73%)...Dr. Marras found that the task of bed making has a 76% probability of yielding a higher injury rate." 2. 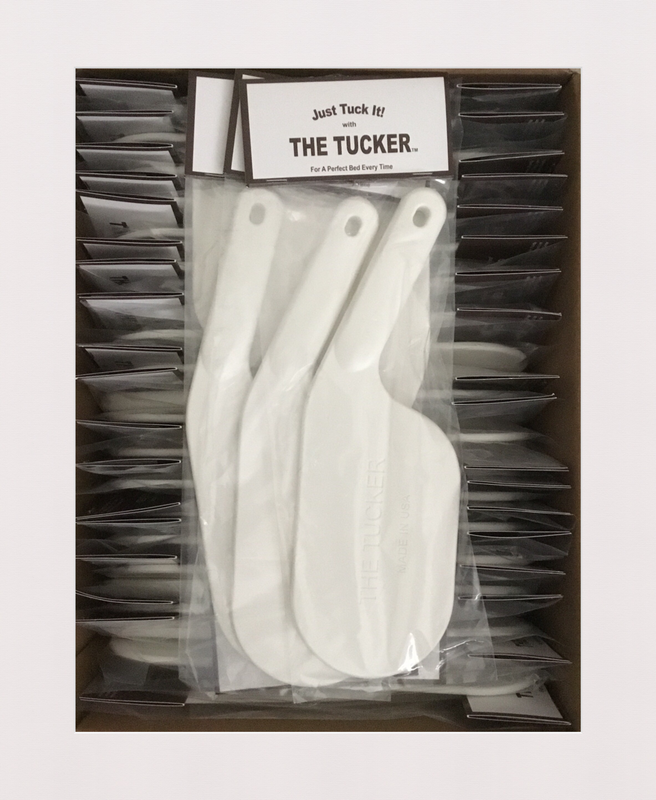 The Tucker is already being used in large hotels in Las Vegas, Atlanta and South Florida as well as Bed & Breakfasts and Inns across the country. Will your hotel be next? Contact us below for details and bulk pricing available for orders greater than 20 Tuckers. Now available in boxes of 20, 30 or 40 on Amazon.com. Click the photo to be redirected.